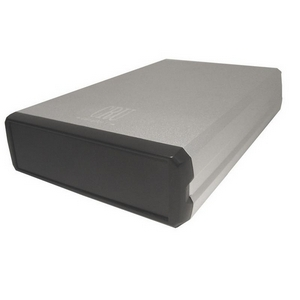 DataPortable 525 eSATA/USB-SATA, 25W with external power supply, RoHS. DataPortable 525 enclosure lets you add any 3.5" IDE/ATA-6 or SATA Hard Disc Drive, ATAPI CD-ROM, CD-RW, DVD or tape drive using your computer's USB port. The DataPortable 525 Enclosure is available with a USB 2.0 interface supporting transfer rates up to 480 Mb/sec.